Not much but a lot more than usual. Six months is a lot of time to stay away from updates. I was a lot busier than usual for many personal reasons. Even without them, I could not see the point of commenting / reproducing the negative news that kept on coming all summer. Corruption, fixed matches, prosecutions, you name it! For a while I thought to abandon my site for good. As I wrote in the past, what is the point of analyzing fixed matches when you are not among the ones who know the result? The announcement for the postponement of all soccer related activities on August came like a breath of fresh air. Could this be a sign of change? Super League was supposed to start on 20/08/16. Deputy Sports Minister, Mr. Stavros Kontonis informed FIFA on 10/08/16 about his hesitations to allow the kickoff citing concerns over corruption. 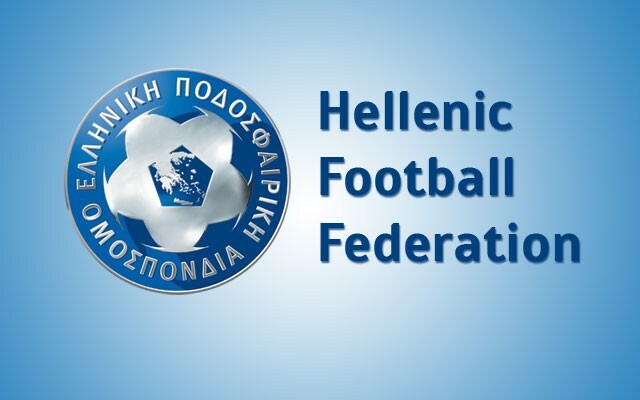 You see, not one, not two but a total of 6 board members of the Hellenic Football Federation (including former chairman Girgikis) are accused for more than one financial scandals. What you probably do not know is that the new sports law dictates they must quit until the final verdict is reached. The Hellenic Football Federation (EPO in Greek) failed to comply with it and ignored Kontonis’ warnings. They acted like nothing serious was going on and (even) announced a list of referees for season 2016-17 (18/08/16). AEK, PAOK and Panathinaikos immediately threatened to boycott the kickoff of Day 1. The reason was that most of the referees in EPO’s list were considered to be quite “friendly” to Olympiacos. Some of them are already being investigated or accused for corruption and match fixing. Also, most clubs have doubted EPO is capable of gaining back their trust under the same (corrupted) board of members. In the meantime a new match fixing scandal involving the owner of Olympiacos Mr. Marinakis, EPO and officials from other teams caused more reactions. The vast majority of club supporters demand to see fair matches. Not pre-determined winners or champions. Fair enough. Kontonis took advantage of all the above. Normally no politician would have the guts to postpone all soccer activities. At least not in a country like Greece. The difference is this time he could afford the political cost with so many teams (and their supporters) on his side. And he did it a few days before Day 1. The 6 individuals from EPO were forced to quit, the list of referees changed again and Super League finally started on 10/09/16 from Day 3*. Most club officials stated their satisfaction after the final whistle of the last match. The appointed referees did fine and everyone looked happy and optimistic. *Day 1 (20-22/08/16) and Day 2 (27-29/08/16) will be re-scheduled on new dates. The second major competition in Greece has not started yet. The board of Football League is under a new chairman, Mr. Sfakianakis. All the officials want to make sure the 18 clubs that will participate in it this season, have the financial means to end it instead of abandoning it. The draw for 2016/17 was held on Monday 05/09/16 and it was violently interrupted by hooligans who were looking for Mr. Girgikis (the chairman of EPO who was forced to quit recently). He managed to escape but a photographer who was present got injured. Miraculously no one else got hurt. The Cup Tournament started a week later than expected. Only 4 Football League clubs participate in the First Round (double matches, away goals rule). According to the new sports law, a CCTV is required in all venues but OFI was the only team that had it. Consequently, 3 out of the 4 matches were assigned in neutral venues that have the system installed. The two winners will be added to the 30 teams (16 from Super League and 14 from Football League) and a new draw for the Second Round (or Round of 32) will take place. A quick look in popular Greek websites and especially the comments of users is enough to understand the Greek supporters (regardless of their team) take corruption for granted. It is true Kontonis is the only Deputy Minister of Sports who actually started a war against corruption. Like many Greek fans, I cannot help myself wondering. Does he really want to reboot Greek Soccer? Is he just serving other “dark” interests? Is this just a trick to drive the attention of the Greek public away from more serious issues? Only time can show.